The City of Boston Fire Department’s Certificate of Occupancy division is correctly holding building owners accountable to properly maintain their standpipe systems. The checklist at left is being passed out at the BFD fire prevention headquarters, which specifically requires proof of standpipe flow test prior to issuance of any tenant improvement project certificates of occupancy. 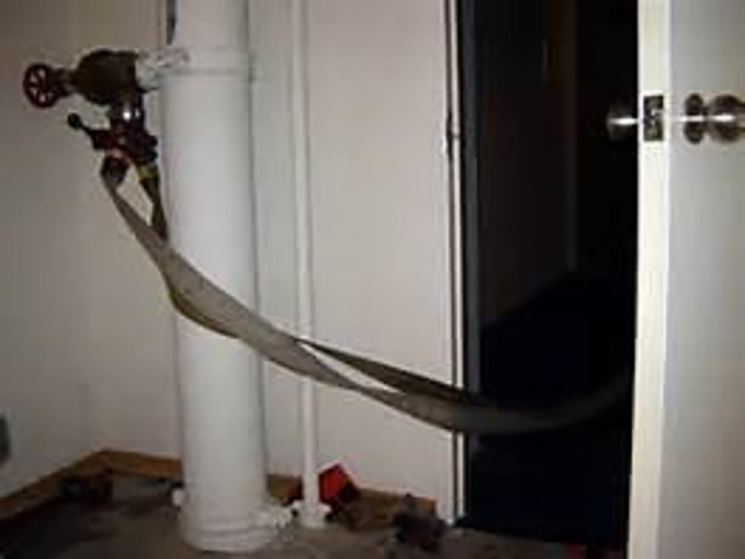 NFPA 25 (referenced by the NFPA 14) requires a flow test from the most remote hose connection (typically the roof) for each standpipe zone every 5 years. This requirement is to ensure the water supply still provides the required design pressure at the required flow. There is also a requirement for hydrostatic testing every 5 years for manual standpipe systems and semiautomatic dry standpipe systems. However, manual wet standpipe systems that are part of a combined sprinkler/standpipe systems are not required to be hydrostatically tested. Having this documentation readily available is critical to ensure that the Certificate of Occupancy for your next TI project is not delayed. Questions? Give us a call and we’d be happy to point you in the right direction.